Julie co-founded Generations Wealth Management (GWM) in 2009 with a desire to offer clients comprehensive financial planning solutions tailored to fit their specific tax situations. During her 15-year career as a Certified Public Accountant with Deloitte Tax LLP, she served high-income executives in the areas of tax and wealth management. Realizing that "return" can come in many forms—investment returns, tax savings, or the strategic exercise of stock options—she has built a loyal client following by building portfolios that utilize tax strategies to optimize investment returns. It is this pairing of the CPA and the CERTIFIED FINANCIAL PLANNERTM (CFP®) designation that make her unique in the financial planning market, and that guides every financial plan GWM implements. Her combined expertise in the areas of investments and tax makes Julie a sought-after speaker, particularly in the area of financial education and the empowerment of women. In addition to her CPA and CFP® professional certifications, she holds FINRA Series 7, 63, and 65 securities registrations through Commonwealth Financial Network®, as well as life, health, and disability insurance licenses. She graduated from Iowa State University with a degree in accounting and was a four-year varsity softball letter winner for the Cyclones. A longtime advocate for Iowa State Cyclone athletics, she served as the treasurer for the Iowa State Letterwinners Club for many years. Dedicated to making a positive impact on today’s youth, Julie continues to coach competitive girls’ softball and served seven years on the West Des Moines Girls Softball Association. Her involvement in the community also includes serving as president of her local PEO chapter, as well as a current member of the Finance Board at the Community Foundation of Greater Des Moines. Julie and her husband live in West Des Moines with their four busy daughters. Together as a family, the Fullers enjoy traveling around the country for the girls’ basketball, volleyball, or softball tournaments, sometimes even ending up on different courts or fields as the girls compete and parents coach! In their free time, they enjoy spending weekends with friends and family at their condominium at Clear Lake, Iowa. Michelle co-founded Generations Wealth Management (GWM) in 2009 with the goal to provide affluent individuals and families with a holistic, total balance-sheet approach to wealth management. Her overall objective is to ensure that a client’s entire financial picture—their deposits, investments, loans, insurance, and estate plan—is structured to meet their personal goals and objectives in a streamlined, tax efficient manner. Michelle had a 14-year banking career as a vice president with Wells Fargo’s Wealth Management division in Omaha, New York City, and Des Moines. Prior to Wells Fargo, she spent eight years in corporate finance with GE Capital in Fort Myers, Florida, and Deutsche Bank North America in Chicago. Michelle received a degree in finance from Iowa State University. Michelle has held her CERTIFIED FINANCIAL PLANNERTM (CFP®) professional designation for more than two decades. In addition, she holds the FINRA Series 6, 7, and 63 securities registrations (through Commonwealth Financial Network®), as well as life, health, and disability insurance licenses. As an active member in the community, Michelle enjoys being involved with the West Des Moines schools, St. Francis of Assisi parish, the West Des Moines Library Friends Foundation, the Mercy Hospital Foundation summer gala, and the Des Moines Civic Center. She is a multi-year presenter at the Iowa State University Foundation’s annual Women in Philanthropy workshop, and gets great satisfaction by facilitating clients’ philanthropic mission through the Community Foundation of Greater Des Moines. Michelle and her husband enjoy their two sons’ numerous school and sporting events, traveling, and whenever possible, slipping away to Table Rock Lake in southern Missouri to boat, wake board, and paddle board. Fixed insurance products and services offered through CES Insurance Agency or Generations Wealth Management, LLC. 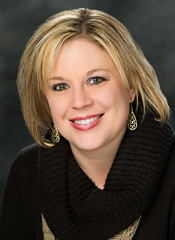 Amy is the Manager of Operations and Compliance for Generations Wealth Management (GWM). In addition to providing exemplary service to our clients, Amy oversees the operations of the firm, ensures compliance with the securities and insurance regulatory agencies, and coordinates GWM’s marketing and client events. 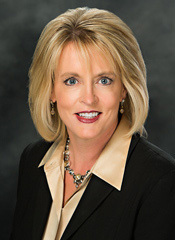 She has worked in the Des Moines banking community since 1999, and is a graduate of Buena Vista University. 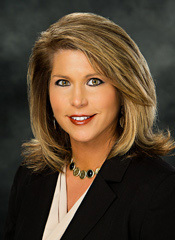 For nearly 2 decades, Amy has excelled at providing the highest level of service to high net worth clients. She joined GWM from Bankers Trust, where she was a supervisor in their Trust division. Prior to that, she was a Senior Banking Associate at Wells Fargo Private Bank for 12 years. It was at this time that she obtained her Financial Paraplanner Qualified Professional™ designation. When Amy is not in the office, she enjoys spending time with her husband, and their son and daughter. The Underhills enjoy camping at the many wonderful state and county parks that Iowa has to offer, boating with family in Clear Lake, and cheering on the University of Iowa Hawkeyes.